Political Commentary: The American Revolution? Editor’s Note: I’m no political scientist and I’m hardly a historian. I don’t pretend to have any answers. What I present here is simply something to consider as you scan the headlines of today’s news-aggregating media…or newspapers for a few of my friends out there. It is an embarrassingly brief synopsis of the French Revolution juxtaposed with today’s governmental crises. I only argue that the connections are clear from a historical perspective and seem to present a nice literary narrative. So in my nine semesters at N.C. State, I’ve been in and out of a lot of history courses. Some of them I passed with no problems, while others (like the one on modern Russia) have been struggles leaving me wondering whether or not I’ve even learned anything. Generally I come away with a broader understanding of a culture and historical perspective for the sake of understanding other history topics that I’m already well-versed in. For instance, I didn’t glean much of an understanding about all of the revolutions that befell the Russian state in my class on the U.S.S.R., but I did gather a new perspective on World War II. There we go. Now that you understand that I learn without really learning, I can move to a juicy little nugget that came up in my France in the Ancient Regime class over the past few weeks. (For my less-than-avid followers, the following will look a lot like a history lecture/analysis. Please skip down to my conclusion, marked roughly with an *). 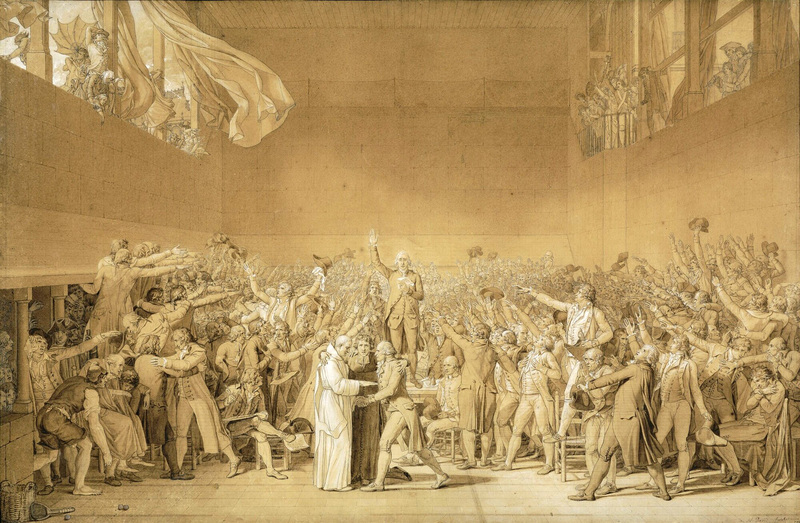 France had no representative government in the centuries before the French Revolution, and instead held what was known as an Estates General in which the three Estates (the classes of the population) gathered to discuss taxes and such. The first estate was the clergy, the second was the knights/nobles and the third was, well everyone else. It worked out okay (according to the top two estates) because each estate only got one vote, meaning when the nobles and clergy wanted tax exemptions for the nobles and clergy, they steamrolled the third estate’s vote 2 to 1 every time. The Estates General was something the king called…if he wanted to. Because of this, France went from 1614 to 1788 without ever calling one – that’s 174* years. (Not 114 as originally reported. Thanks Farrell). Imagine two generations of third estaters living and dying without ever having a voice in the government that was taxing them. Now take into account the numerous wars France underwent in that time (Yeah, the American Revolution as well, if you can call it that…which I’ll get to in a minute) and you find yourself with quite a government deficit. You’re taxing the poor and fighting wars on more than one continent…then comes a famine and you’re looking down the barrel of a revolution the likes of which the world had never seen. So because of all the negatives, King Louis XVI calls another Estates General to be run the same way as before, i.e. with a powerless third estate. They get pissed and ask for more power, but by the time XVI gives it to them, they’re irate. Finally, something almost as badass as me on a tennis court. National Assembly, Tennis Court Oath, Revolution, Reigh of Terror, First Republic, First Empire, Second Republic, Second Empire, Third, Fourth and Fifth Republics. The wisdom from this revolution dictates that if the rulers of a country ignore the governed, revolution can come, and I’m not talking about a glorious “kick out the British” revolution…I mean a French-style revolution where the entire nation implodes and chaos reigns for decades…Think like a long-term Argentinean economy with some dictatorship thrown in for good measure. Our political compass in the U.S. is so skewed…we think we’re a superpower and we always will be, but guess what? That’s how people felt in France and England and Germany in the early part of the 20th century and a war nearly bankrupt them all, leaving an upstart power (the U.S.) and a country that ignored human rights (U.S.S.R) to emerge as the powers in the world. Where is the U.S.S.R now? The connections between our country’s current state and France’s are many, and I won’t make them all for you, but the tax cuts one just drives me up the wall. The Bush tax cuts are exactly the type of tax agenda the clergy and nobles had for themselves in the 18th century and with people like Former Senator Alan Simpson running things, it seems like we’re bound for a scary revolution just like France. Now, to clarify my thoughts on the matter: France’s revolution is today heralded as one of the greatest moments in Western civilization. It typically marks the beginning of the modern era for history and it’s one of the most badass moments in history as far as I’m concerned. Any country that would rather rip itself to shreds than be ruled by an oblivious monarch is truly a martyr nation that should be commended.